The 37th Asian American International Film Festival is pleased to announce that Eugene Park’s screenplay MICHAEL’S STORY is picked for a reading at the 2014 Asian American International Screenplay Competition. The screenplay is a fictionalized re-telling of the infamous murder of Vincent Chin and the trail from the perspective of one of the perpetrators. Eugene will work with New York City-based actors, lead by Yoanna Wei (Stella Adler Studio), to present the reading of excerpts of MICHAEL’S STORY. The reading will take place at 2pm on July 26th at Museum of Chinese in America (215 Centre St, New York, NY 10013). Eugene Park is a filmmaker working in both experimental and narrative forms. He has written, produced, and directed numerous short films which have gone on to play at film festivals, micro-cinemas, and on broadcast television. His previous work has screened at New York International Independent Film & Video Festival, Upstream Film Festival, Newport Beach Film Festival, HDFEST, New Hope Film Festival, the Whitsell Theater at the Portland Art Museum and on Time Warner Cable in New York as part of NET’s Faith Film Festival. Eugene holds a BA in English from the University of Pennsylvania and an MA in Philosophy from California State University, Los Angeles. The jury of the 2014 Asian American International Screenplay Competition consists of Chris Fiore, film director and editor; Clarissa de los Reyes, film director and producer; and Michael Sandoval, Co-chair of Filmmaking Department at New York Film Academy. Past winners of the Asian American International Screenplay Competition include Michael Kang’s THE MOTEL, Mora Stephens’ GEORGIA HEAT and Isaac Ho’s THE CHINESE DELIVERY MAN. 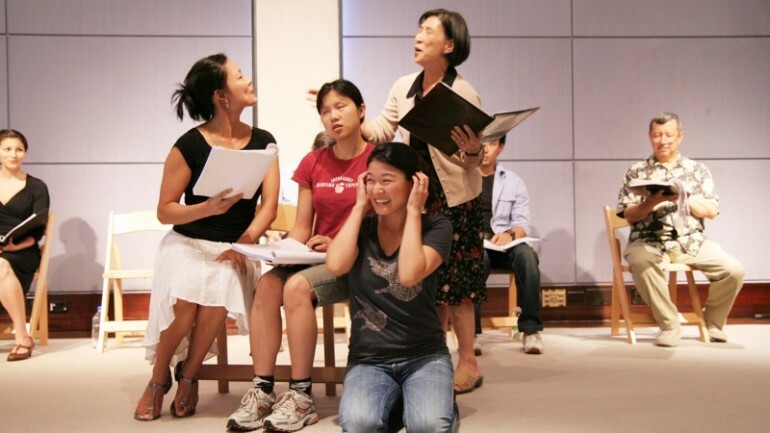 The other runner-up finalists of the 2014 Asian American International Screenplay Competition include THE TRAGEDY OF ZAID AND AYSEL by Jisen John Ho and DONALDINA by DONALDINA: BASED ON TRUE EVENTS IN THE LIFE OF DONALDINA CAMERON by Carol Lee Hall. This event is FREE, please click HERE to get your tickets.